Do you want a 5% discount? Topping the list in the Canary Islands for Family Tourism, as confirmed by review sites such as TripAdvisor. 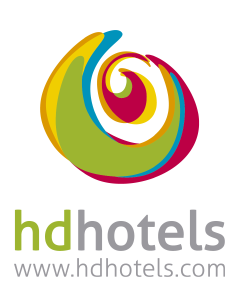 HD Hotels & Resorts is comprised of a great team of people whose main goal is to turn your family holiday into an unforgettable experience and —while we know this is no easy task— we promise to do everything possible to make this happen. Concepts such as HD Sense Connect, a digital and emotional concept that tries to connect clients in all respects, or HD Shopping Experience, will provide just some of the keys to an unforgettable vacation. Take advantage of our exclusive offers for clients booking directly on our website! ¡TE HAS QUEDADO DE PIEDRA! EN PARQUE CRISTÓBAL GRAN CANARIA. ¡RESERVA YA! CLUB HD, EXTENDED STAYS or PREPAID RATES are some of the deals you’ll find in our corporate section.Take advantage of our many discounts. Find out more about all deals and discounts at our most family-friendly hotel. Don’t miss your chance at a memorable vacation. Find out more about all deals and discounts at our family-friendly hotel in Tenerife. Don´t miss your chance at an memorable vacation. Find out more about all deals and discounts available at our hotel specialising in water sports. Don’t miss out on the opportunity to experience a fabulous and active holiday. Register easily and for free, and you will start receiving discounts and offers for your next vacation!